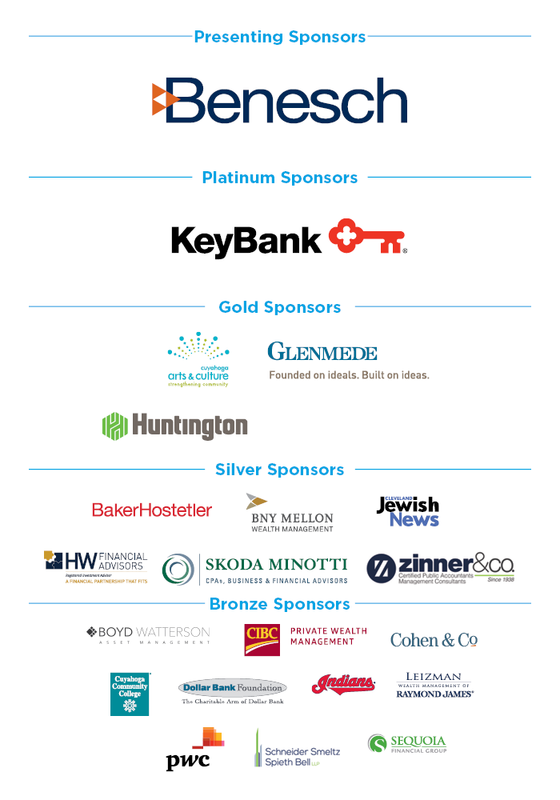 The Jewish Federation of Cleveland’s Corporate Sponsorship Program offers valuable recognition and generates good will among our donors and beneficiaries – your clients and customers. The Federation offers a wide range of high-quality corporate sponsorship opportunities designed to give your organization the maximum return on investment. Whether your objective is marketing visibility, building brand awareness, attracting new clients, or philanthropic support, a sponsorship with the Federation will provide wide exposure and help achieve your goals. As a Corporate Sponsor of the Federation, your company will support one the most trusted and admired non-profits in Cleveland. Corporate Sponsorship of the Federation connects your company with diverse and thoughtful consumers. It also demonstrates support of the many important programs and beneficiaries of the Federation. As the Cleveland Jewish community’s central fundraising and planning organization, the Federation is often regarded as the “central address” of the 80,000 member community. As a Corporate Sponsor of the Federation, your business will be recognized for its support, commitment, and investment in building and maintaining a strong and vibrant community. For more information please contact Leora Lanzola at 216.593.2798 or llanzola@jcfcleve.org.